Uncategorized | Welcome to the world of NECCO! 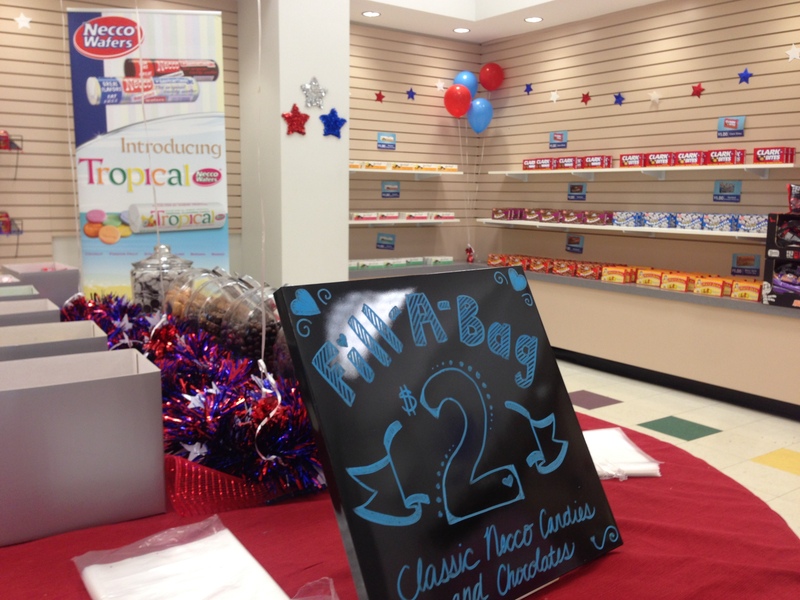 NECCO To Open Store for Easter! 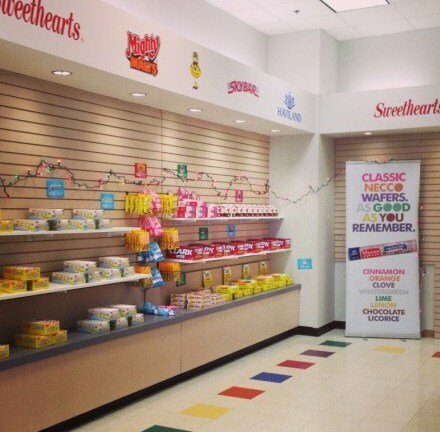 We’re excited to announce a special Easter opening of our Candy Store at our World Headquarters! We will be selling some of our Easter favorites such as Mighty Malts Malted Milk Eggs, PAAS Caramel Filled Eggs, and Dark Chocolate Nonpareils in addition to our beloved classics like NECCO Wafers, Mary Janes, Sky Bars and Clark Bars! Categories: Uncategorized | Tags: Banana Splits, Boston, candy, candy buttons, Candy Eggs, candy store, chocolate, Clark Bar, dessert, Easter, Easter Basket, Easter candy, events, family, food, gifts, Haviland, holidays, love, malted milk eggs, Mary Janes, Mighty Malts, necco wafers, new england confectionery company, nonpareils, nostalgia, Sky Bar, Slap Stix, Squirrel Nut Zippers, sweets, Thin Mints, Tropical NECCO Wafers | Permalink. 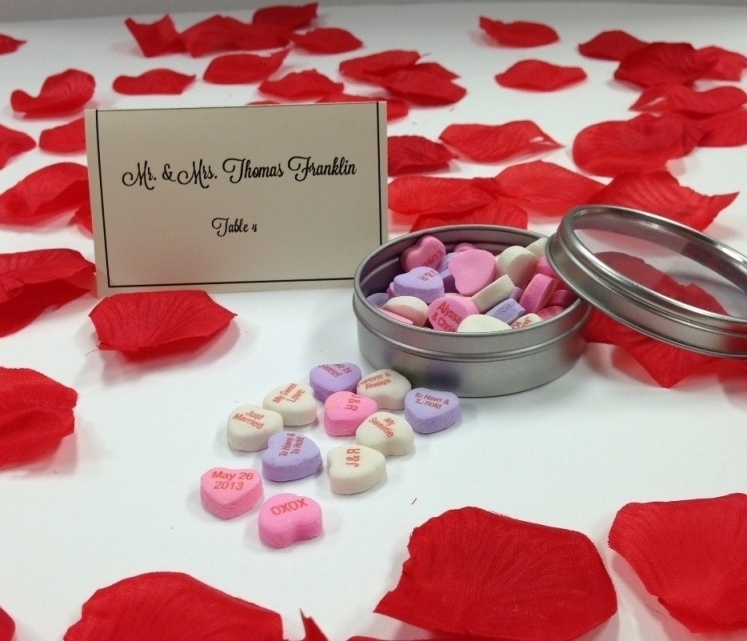 Make your event unforgettable with personalized candy from MyNecco.com! Summer is in full swing, which means there will be plenty of weddings, BBQs, graduation parties and other summer events to plan and attend. Some of our most favorite memories are made at these events, and we cherish how important these moments and days are in our lives. 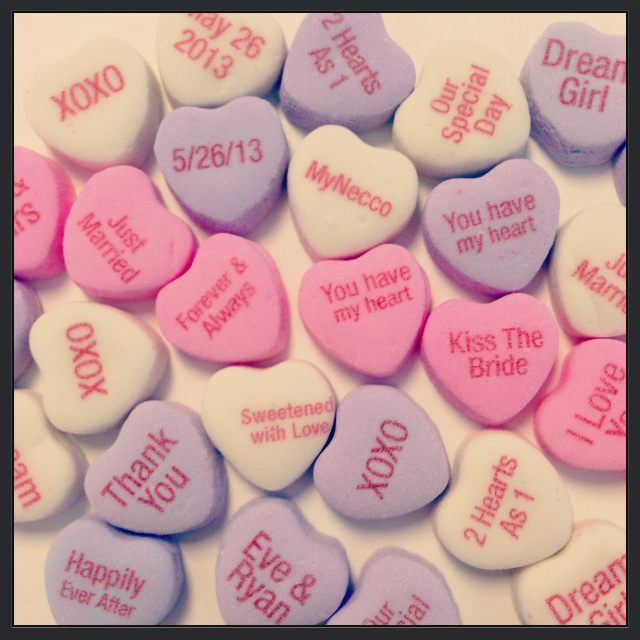 If you’re looking for a way to make your special day even more memorable, look no further than personalized Sweethearts and NECCO Wafers from MyNecco.com! The process to customize your sweets is fun, quick and very simple to follow. In just four easy steps, you’ll be on your way to creating your own one-of-a-kind candy! Step 1: Select your candy: NECCO Wafers or Sweethearts. Step 2: Select your desired Color(s) using provided flavor guide. Step 3: Include your own personal message. Step 4: Select your quantity in 1 or 5 pound increments and place your order! 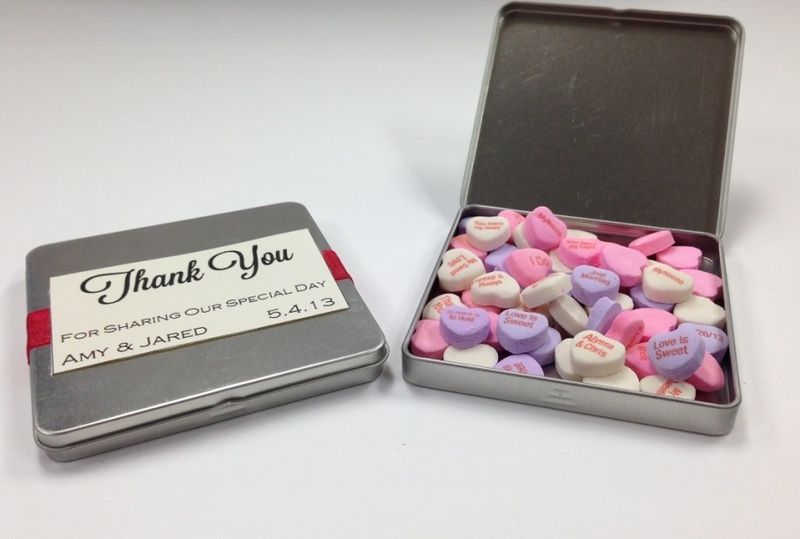 This summer, surprise your favorite grad with Sweethearts that say “Congrats!” or amaze guests at your party with colorful NECCO Wafers that say “Thank You.” The possibilities to include names, dates, and other sweet personal messages are endless. You’ll fall in love with these charming personalized candies that are sure to brighten up any occasion and be truly unforgettable. Head on over to MyNecco.com to get started now! Recently, we have had the pleasure of hearing so many happy stories of your memories and friendships made through candy, and we couldn’t wait to give you a chance to create more! So, last Monday we unveiled our Facebook ‘Candy Connections Sweepstakes’ ! Grand Prize winner will be randomly selected from the full list of entrants. 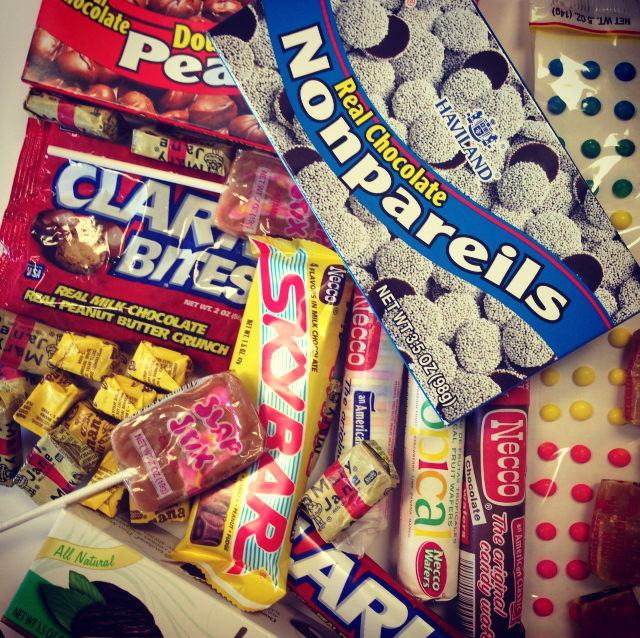 – NECCO Candies Prize Pack! Second Prize winner will be the individual who refers this contest to the most friends. To qualify, be sure to have your friends list your name as their referral source to the Sweepstakes. You’ve been loyal fans over the years, and we are excited for our sweet future! Find out complete Sweepstakes rules on our Facebook page where you can enter and start making more sweet memories! 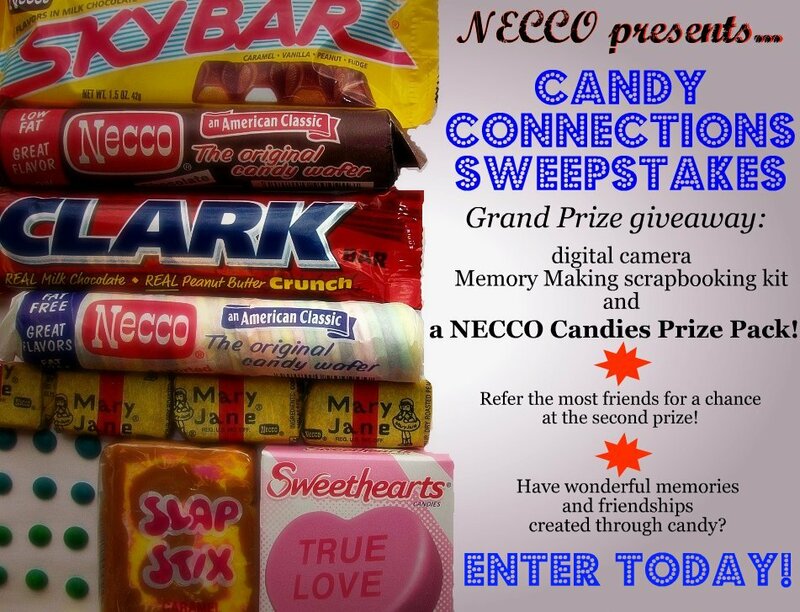 Categories: Uncategorized | Tags: Candy Connections Sweepstakes, giveaway, NECCO, necco wafers, new england confectionery company, sweepstakes | Permalink.